Living a Fit and Full Life: Hope for Each Day: 365 Devotions for Kids by Billy Graham is a Terrific Devotional for Kids! 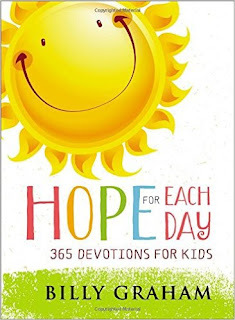 Hope for Each Day: 365 Devotions for Kids by Billy Graham is a Terrific Devotional for Kids! Billy Graham, world-renowned preacher, evangelist, and author has delivered the gospel message to more people face-to-face than anyone in history and has ministered on every continent of the world in more than 185 countries. Millions have read his inspirational classics, including Angels, Peace with God, The Holy Spirit, Hope for the Troubled Heart, How to Be Born Again, The Journey, Nearing Home, and The Reason for My Hope. 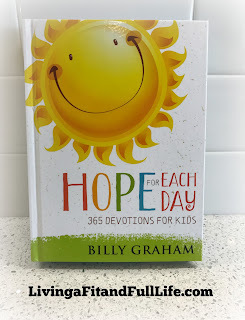 Hope for Each Day: 365 Devotions for Kids by Billy Graham is a terrific devotional for kids! The cover is beautiful and I love the size of the book. It's the perfect size for kids! One thing I really like about this devotional is that each day’s devotion corresponds with the theme and Scripture of the adult devotional, making it easy for families to share devotional time together. As a busy mom of four it's not always easy to fit in devotional time so being able to include my kids is definitely the way to go. We now all start our day out with our devotionals and to be honest it's the best way to start out the day. I love the layout of this devotional and can honestly see the positive impact it's had on my family. 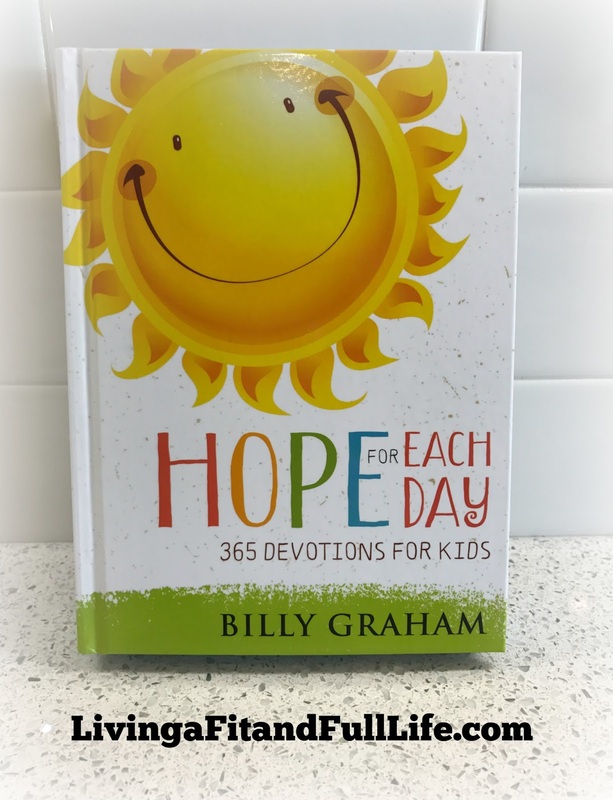 Hope for Each Day: 365 Devotions for Kids by Billy Graham is the perfect way to daily guide your child in understanding the truth of Scripture and trusting God’s great love! You can find Hope for Each Day: 365 Devotions for Kids by Billy Graham on Amazon, Barnes and Noble and other bookstores.